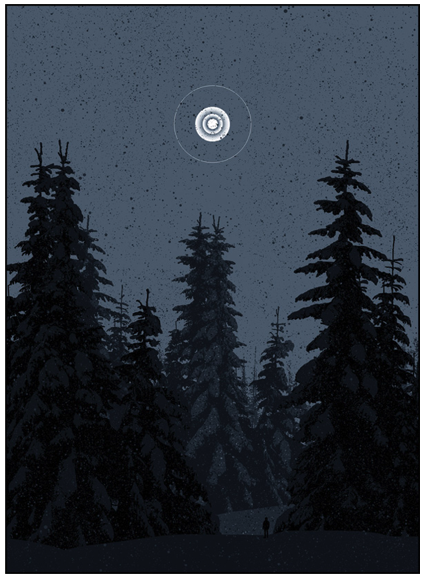 To me Rosetta’s music and Dan McCarthy’s art prints go hand in hand. The heavily delayed guitar just provokes the idea of silence within nature. Rosetta is a band best described as “metal for astronauts”. While McCarthy’s artistic style pushes the idea that elegance is silence within natures grace. So for this McCarthy print I decided to go with one song in mind.